I’m made of sugar and spice and a whole lot of good ideas and determination. Can you solve the mystery at the Sweet Shoppe? 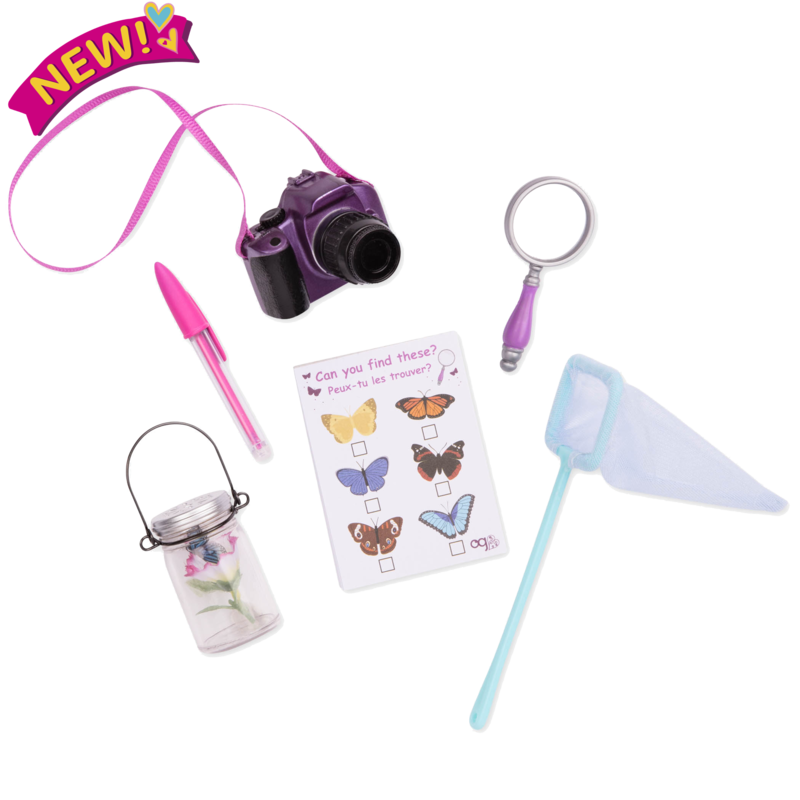 Recreate all the fun of Jenny’s storybook with the Our Generation Read & Play Set – Jenny Book & Outfit! Because we are a remarkable generation, us girls. We’ve got big dreams and solid plans. We’re collecting socks for kids who need them, baking pies to raise money for animal shelters, and overcoming challenges. Yep, we have a lot going on, but we still find time for being ourselves. This is our time. This is our story. Storybook and Outfit for 18-inch Dolls! We have a lot of stories to share, and all the outfits to match! 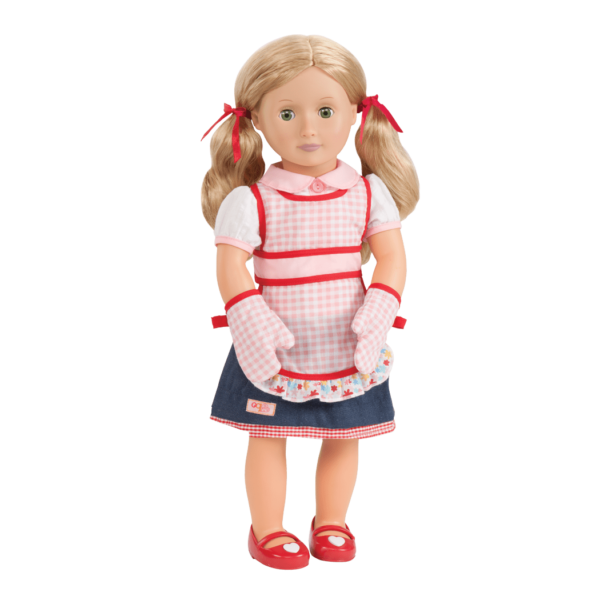 This accessory set for 18-inch dolls lets you dress your favorite doll in Jenny’s signature outfit featuring a sweet collared shirt, denim skirt, and shoes with hearts, as well as a gingham apron and matching oven mitts. With the storybook “The Sweet Shoppe Mystery,” read about Jenny’s adventures baking for a cause and solving a perplexing mystery. The easy-to-read book is suitable for younger readers, and chapters allow you to pause your reading along the way! Create your own stories with this inspiring collection! 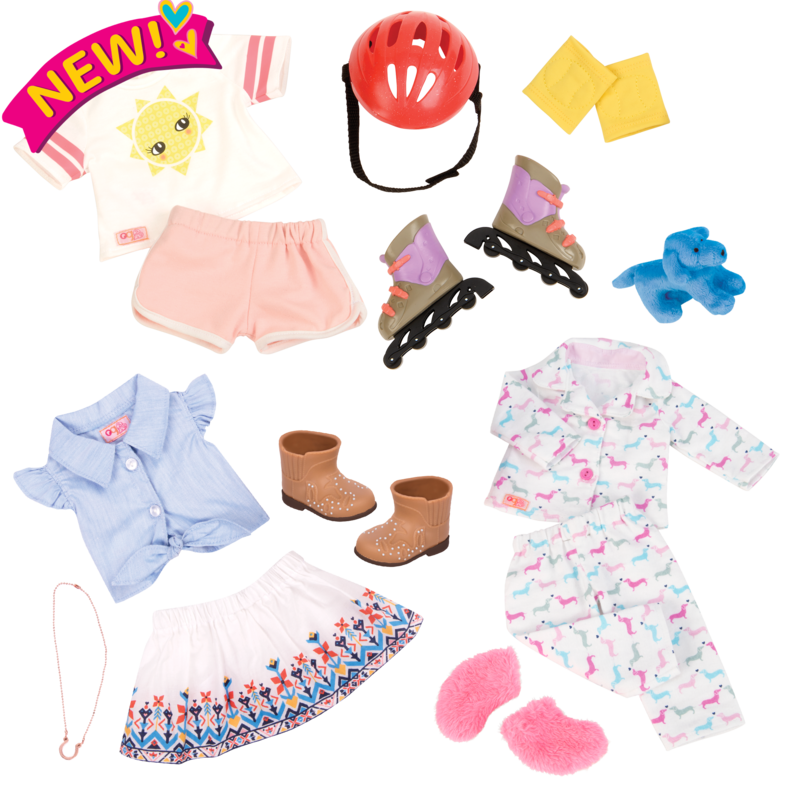 This set lets you dress any 18-inch doll in this cool travel outfit, and play along with stories inspired by Jenny. 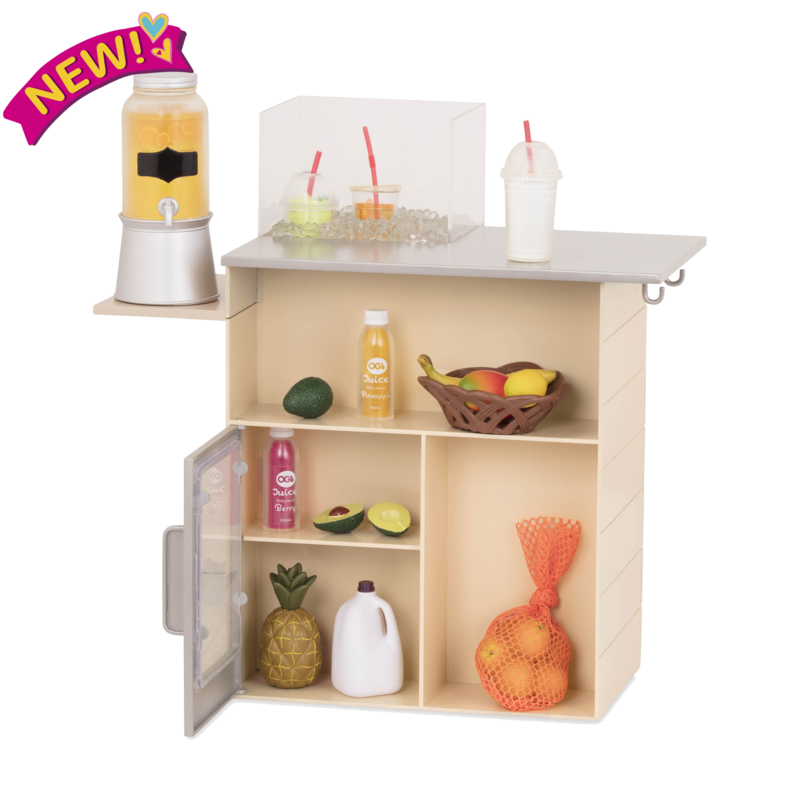 For even more baking accessories for your dolls, check out the Master Baker Set that’s filled with mixing bowls, cookie sheets, and so many more great baking accessories for 18-inch dolls! Jenny TMtakes a cake decorating class at The Sweet Shoppe and loves dreaming up unique designs. When her new favorite hobby creates more delicious cupcakes and cakes than her family can possibly eat, she starts giving them to neighbors and friends.